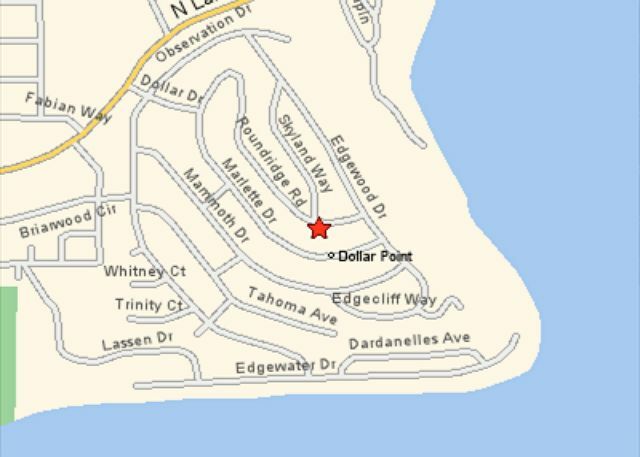 Prestigious Dollar Point vacation rental home features lake and mountain views. 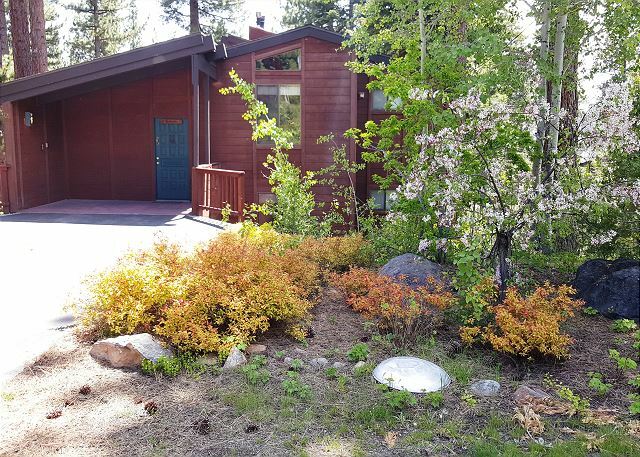 The upper level of this home has new Granite Kitchen Counters and Breakfast Bar, Vaulted Ceilings throughout, River Rock Wood Burning Fireplace and Large Air-Lock Entry Storage Room (great for ski/snowboard equipment/bikes).Firewood is provided. There are 3 TV's including one 55 inch! The Family Room converts to the fifth bedroom via a Murphy bed. This all purpose room has couches and table/chairs for games or relaxing to watch a movie on the TV. Enjoy access from this room to the split level deck that faces the lake. There is also a bedroom off of the kitchen area with a queen size bed and full bath. Downstairs on the mid-level are two more bedrooms, one has a queen size bed and the other room is a “bunk room” with a bunk bed and a twin with trundle bed. These two rooms share a bathroom on this floor. Also downstairs on a third level is a newly added multi- purpose room with attached full bath, and paver patio leading to the new Hot Tub. This room can be a great playroom by day, and converts for sleeping at night utilizing a brand new luxury (hotel quality) convertible couch. The wooded mountain setting and glimpse of the lake make this the perfect winter or summer retreat. In the summer the multi level decks are just the spot for relaxing on the patio furniture or BBQ-ing with your group. There is Wifi, iPod Docking station, cable and level winter access with plow service. 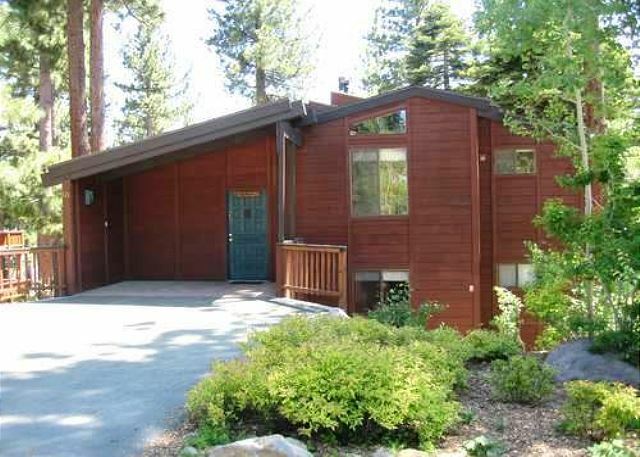 It is close to the HOA’s gated pool, tennis courts and beach. Boat launch is just down the road. In the winter you are a short drive to Alpine Meadows, Squaw Valley and the Nordic Center. For the past 20 years or so we have rented the "Hembrooke" Home" at Dollar Point during the last week July. Our family has had a wonderful vacation experience each of the years we have rented the home. We again had a very enjoyable week at Lake Tahoe in the Hembrooke home with our family. A FUN week for all!!! We have had the opportunity to rent the Hembrooke home for a week in late July for the past several years. We bring our children and thier friends and families. We always have a terrific time. We look forward to renting the Hembrooke home again. Thanks for all the work you do to make our stay so enjoyable. All the very best to you.